Lady Judith Appleby took her husband Sir John Appleby, assistant commissioner at Scotland Yard, to a show of the work of Gavin Limbert, a recently deceased (murdered) artist. Mr. Braunkopf, the owner of the art gallery tried to interest Appleby in the purchase of a Limbert's masterpiece which was an abstraction named "The Fifth and Sixth Days of Creation". It was Braunkopf's hope that Sir John would purchase the painting and donate it to the Tate before rich Americans snapped it up. Braunkopf and Sir John had wandered away from this painting while discussing the price, and when they turned to view it again, the painting was gone; someone had stolen it. Appleby and Cadover went to take a look at Limbert's rooms in a building which was a rooming house for artists. In Limbert's rooms, they discovered a valuable Stubbs painting which they removed to take to the security of the Yard. Appleby took the Stubbs painting home with him with the idea of returning it to the yard the next morning.They also found out that Mary Arrow, an artist who occupied the rooms above Limbert, had vanished taking only her toothbrush with her. When Appleby got home, he found the Duke of Horton having dinner with Lady Judith. The Duke clarified his previous request, and it seemed that the Aquarium is a painting by Vermeer, and the goldfish and silverfish was a painting of horses by Stubbs. These had been stolen from his home, Scamnum Court, one of the great English homes. Possibly they had been stolen while the Duke and Duchess were leading half-guinea tours of Scamnum which gave them the funds needed to live there. The Duke immediately recognized the Stubbs that Appleby had as one of the stolen paintings. Appleby went on his own to investigate the art theft - this will be his One Man Show. While he was gone, Lady Judith also conducted her own investigation of the thefts. Both ended up in very dangerous situations before arriving at a solution of the various crimes in this book. 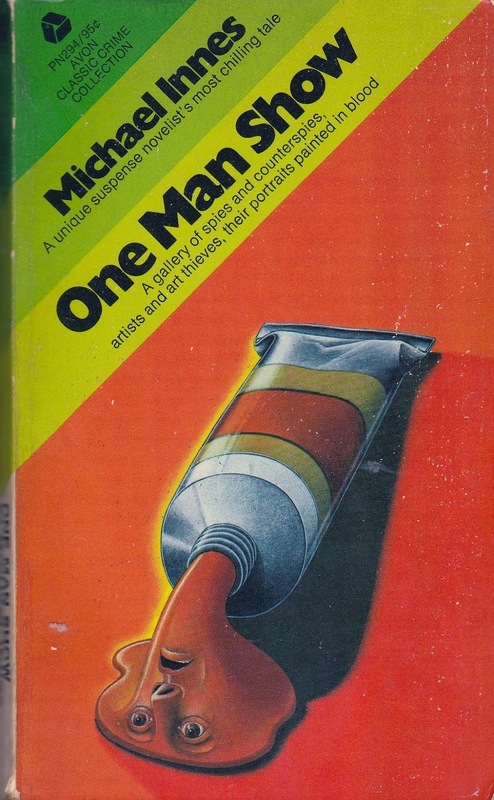 This is a literate and funny novel. There is little in the way of intense detection, the use of little grey cells, and the clues examined with a magnifying glass which are much loved by many mystery novelists. Sir John Appleby and Lady Judith advance from one situation to another coming across clues along the way which makes it all rather like a scavenger hunt. Art lovers will enjoy this book. They will recognize the artistic jargon which is spouted in the art gallery because it does not differ in essence from that which is spouted today. Appleby in the art gallery thinks "Gavin Limbert had perhaps been lucky, after all. He had died young and untouched by disillusion - ignorant or careless of the oceans of twaddle and humbug which constitute the main response of the Anglo-Saxon peoples to any form of artistic expression." This book was published in 1952 and has had two other titles, A Private View and Murder is an Art. It is currently out of print, but used copies are available online. 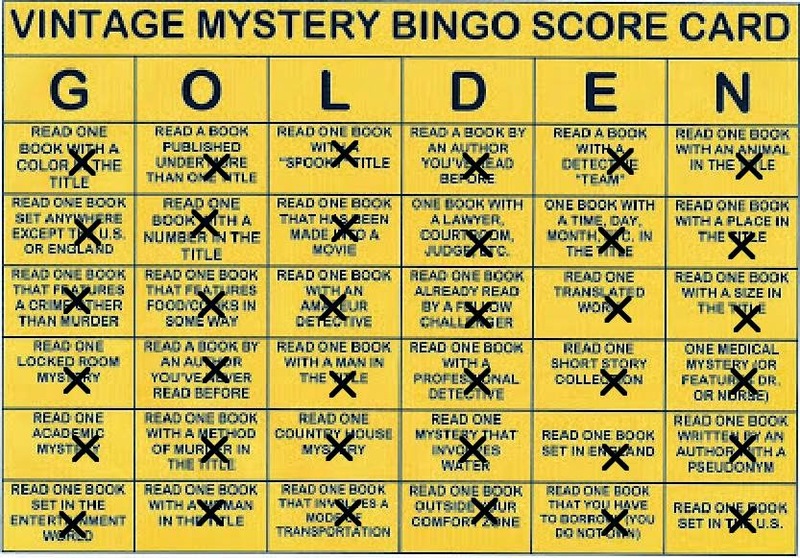 I have read this book for the 2014 Mystery Bingo Challenge in the category of a book with a professional detective. In reading this delightful book, I have covered all the squares of the Bingo card. I have read many enjoyable books in the process and have had a great time doing it.